A Saudi official has told ABC News that Jamal Khashoggi was killed when he was "placed in a chokehold position" to prevent him from leaving the country's consulate in Turkey and calling for help. The evolving explanation comes 19 days after Khashoggi, a Saudi journalist who had been critical of his country's current government, disappeared on Oct. 2 after going into the Saudi consulate in Istanbul. 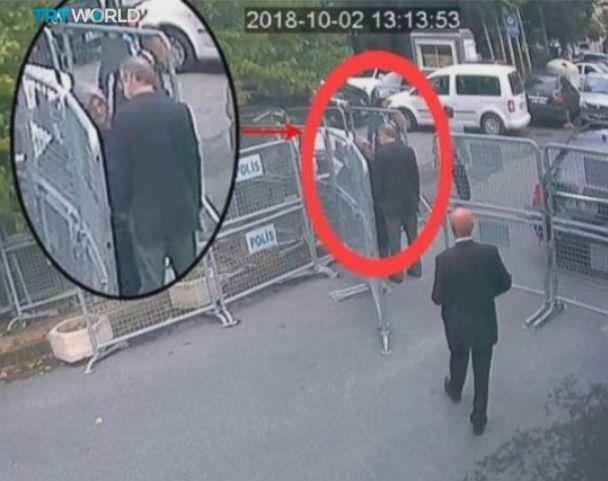 Once Khashoggi was reported missing, the Saudi government initially said Khashoggi had come out of the consulate the same day, and denied any involvement in his disappearance. 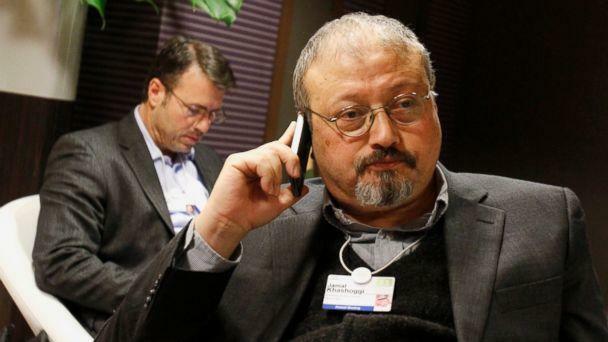 Two weeks later, on Friday, the country's public prosecutor said an initial investigation revealed that discussions between Khashoggi and the individuals who met with him at the consulate led to an argument and a fist fight, which resulted in the journalist's death, according to the Arabic report in the Saudi Press Agency. The Saudi official on Sunday told ABC News that Khashoggi’s body was given to a "local cooperator" in Istanbul for disposal. "Investigation into this continues," the official said. The whereabouts of Khashoggi's body remain unknown. Fifteen Saudis, members of the team sent to Turkey to meet with Khashoggi in the consulate in Istanbul, are among those who have been detained by the Saudi public prosecutor, according to the official. 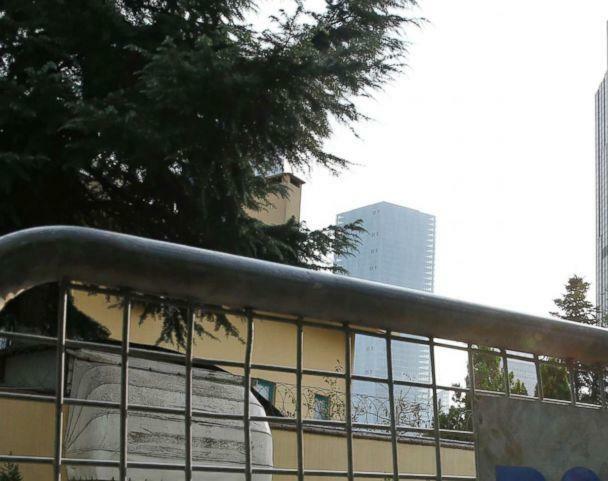 "All the 15 team members are among those detained," the official said. "I don't have the names at this time." The official also told ABC News that five Saudi intelligence chiefs, who were relieved of their duties in connection to Khashoggi's death, are not currently suspects in the investigation, even though they were "part of the chain of command of the operation" and that "the operational orders ... were written in such a way as to contribute to the series of events that led to the tragic death." 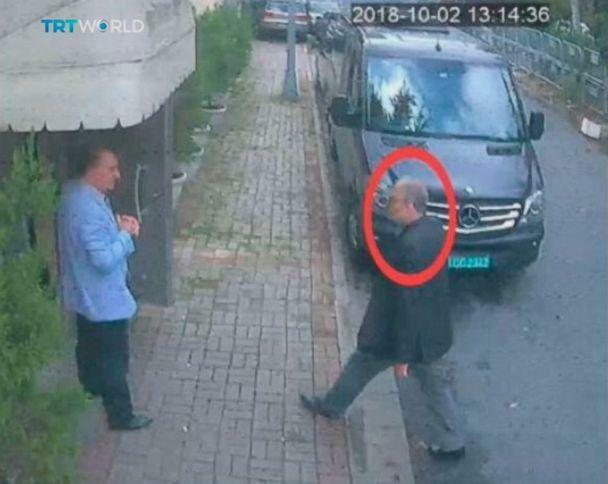 Turkish officials have claimed that a team of 15 Saudi men, including one who was identified by the press as an autopsy doctor, flew to Turkey specifically to kill Khashoggi at the consulate. The Trump administration has strongly denied a claim that Secretary of State Mike Pompeo was played an audio recording and provided a transcript of Khashoggi's killing. Eighteen Saudi citizens were detained by the Saudi government in connection with Khashoggi's killing, according to Saudi Arabia's state-run news agency. Several human rights organizations, including Amnesty International and the Committee to Protect Journalists, have called for the U.N. to investigate Khashoggi’s death. After speaking with Saudi Arabia's King Salman, President Trump suggested that Khashoggi was targeted by "rogue killers." Earlier this week, Trump said that there would be "severe consequences" if it is found that the Saudis murdered Khashoggi, and on Friday the president said that Saudi’s announcement that it had suspects in custody was "a good first step." U.S. Treasury Secretary Steve Mnuchin, and several international business leaders, have pulled out of a major investment forum in Saudi Arabia scheduled to begin next week called the Future Investment Initiative. Khashoggi fled Saudi Arabia in 2017, and had recently been living in the U.S. where he served as an opinion columnist for The Washington Post newspaper, writing critically of the Saudi royal family and Crown Prince Mohammed Bin Salman, and warning of efforts to stifle the free press in the Middle East. 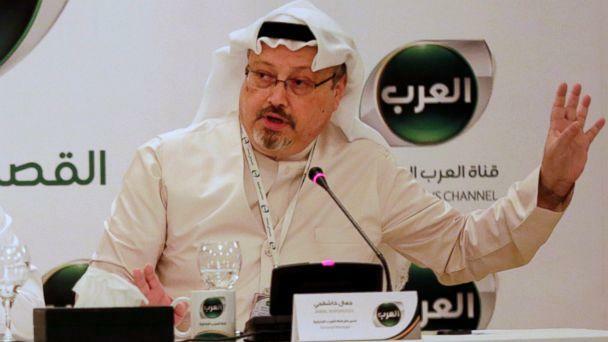 Khashoggi’s final column in for the newspaper, published Oct. 17 was titled: "What the Arab world needs most is free expression."